The DataSafe HX range of valve regulated lead acid batteries has been designed to offer superior solutions for the Uninterruptible Power Supply (UPS) and Information Technology markets. DataSafe HX batteries are the ideal source of power to protect vital systems and incorporates select design features that maximise reliability while ensuring superior performance and an excellent service life. DataSafe HX batteries are designed using proven gas recombination technology that removes the need for regular water addition by controlling the evolution of hydrogen and oxygen during charging. The use of gas recombination technology for lead acid batteries has totally changed the concept of standby power. This technology provides the user with the freedom to use lead acid batteries in a wide range of applications. VRLA stands for Valve Regulated Lead Acid, which means the batteries are sealed. Gas will escape through the safety valves only in case of overcharging or cell failure. VRLA batteries are maintenance free for life. AGM stands for Absorbent Glass Mat. In these batteries the electrolyte is absorbed into a glass-fibre mat between the plates by capillary action. As explained in our book ‘Energy Unlimited’, AGM batteries are more suitable for short-time delivery of very high currents (engine starting) than gel batteries. Because of the use of lead calcium grids and high purity materials, Victron VRLA batteries can be stored during long periods of time without recharge. 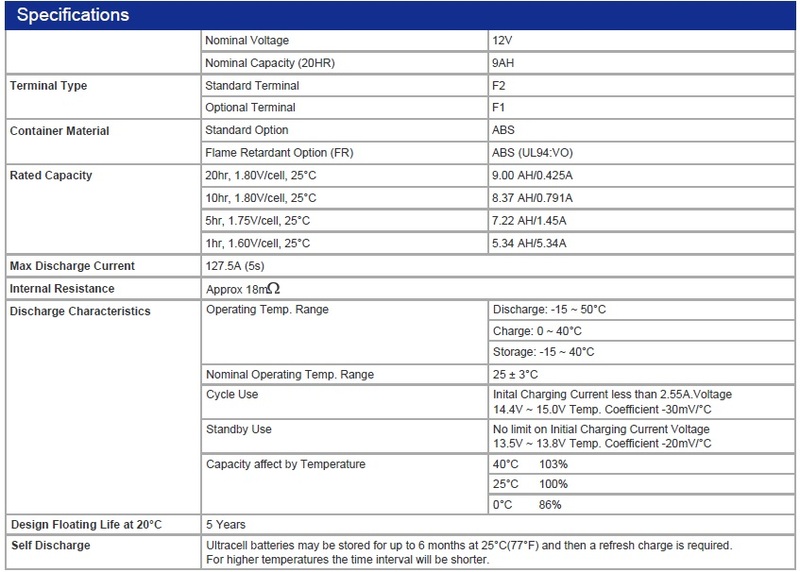 The rate of self-discharge is less than 2% per month at 20°C. 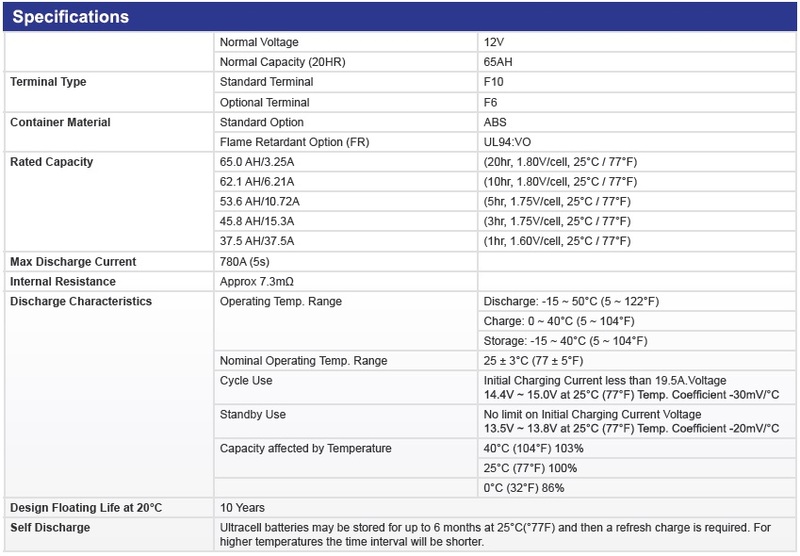 The self-discharge doubles for every increase in temperature by 10°C. 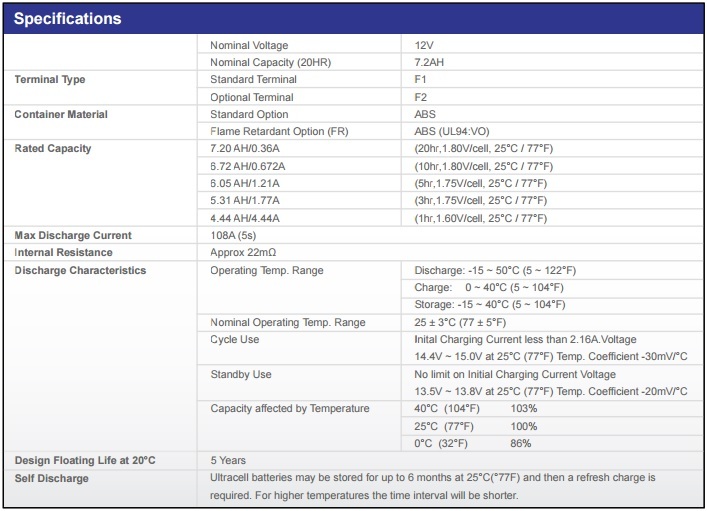 Victron VRLA batteries can therefore be stored for up to a year without recharging, if kept under cool conditions. Victron VRLA batteries have exceptional discharge recovery, even after deep or prolonged discharge. 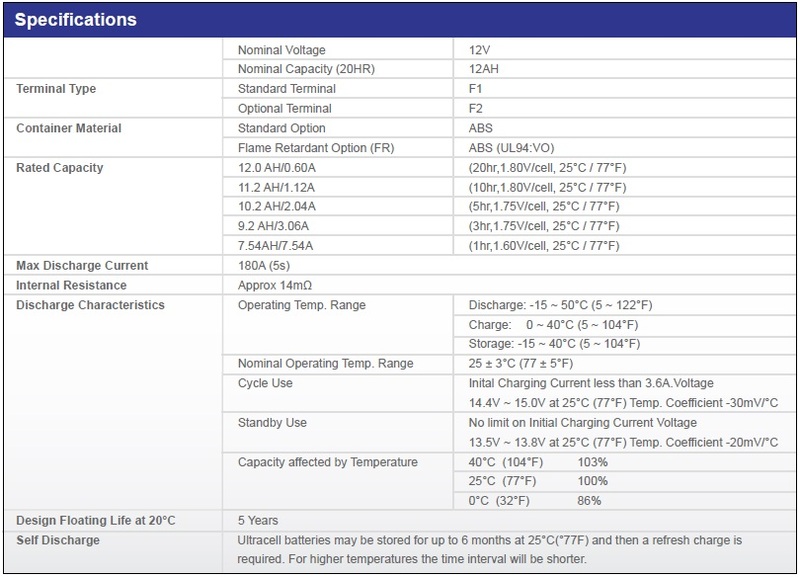 Nevertheless repeatedly deep and prolonged discharge, have a very negative effect on the service life of all lead acid batteries, Victron batteries are no exception. The rated capacity of Victron AGM and Gel Deep Cycle batteries refers to 20 hour discharge, in other words: a discharge current of 0,05 C. The rated capacity of Victron Tubular Plate Long Life batteries refers to 10 hours discharge. The effective capacity decreases with increasing discharge current. Please note that the capacity reduction will be even faster in case of a constant power load, such as an inverter. 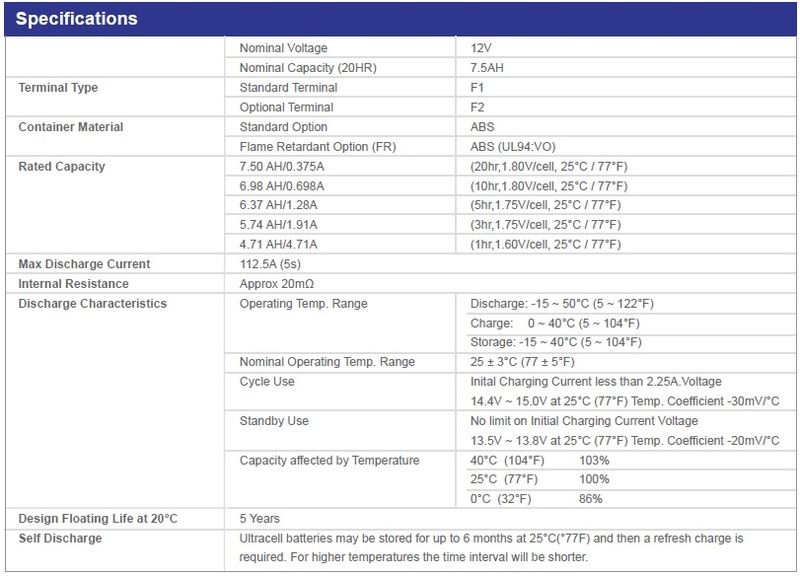 Victron Energy AGM deep cycle batteries have excellent high current performance and are therefore recommended for high current applications such as engine starting. Due to their construction, Gel batteries have a lower effective capacity at high discharge currents. On the other hand, Gel batteries have a longer service life, both under float and cycling conditions.